One Mom's Moxie: Master Lock ~ Make Sure You Lock It Up!!! Since school is starting there are a lot of things to get to be ready for the school year. For those students that ride a bike or maybe they have a laptop, since some schools have the laptop program, it's also important to think about Lock Up Safety. I know from experience how important it is to have not just a lock but a good, reliable lock. My sons bike was stolen a few years ago, unfortunately we had one of those cheap flimsy locks so it was easy to take. We have not made that mistake again. We now only purchase Master Lock for all our locking needs. 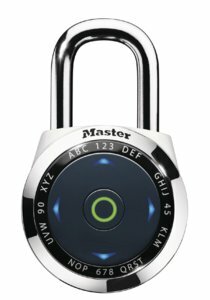 Look at this awesome Master Lock dialSpeed Electronic Padlock. It is so important to teach your child how to use a lock, help them remember the combination and most importantly, explain to them why they should never share their combination with anyone. For those laptop students Master Lock has come out with a great new way to lock up your laptop. And for the high school students, or even any student that carries cash, a phone or anything of value then you need to look into getting Master Lock's SafeSpace. So remember even if you think you there is no way your things would be stolen it's always better to be safe then sorry. Do you know everything there is to know about safety and security? Then take the Master Lock Combo Challenge! 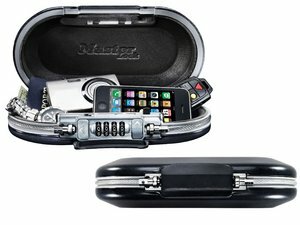 I wrote this post to enter a contest for a Master Lock back-to-school prize pack as a member of the Mom Bloggers Club.